— “The Writer’s Life”, an essay on the true nature of a writer’s life by H.A. Callum. — An Interpretation of Eliot’s “Prufrock”, an examination of T. S. Eliot’s masterpiece, “The Love-Song of J. Alfred Prufrock” by Lenny Cavallaro, D.M.A. — A cartoon on the back page, and more! 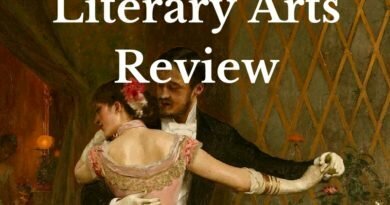 ← Announcement: The October 2016 Literary Arts Review Magazine cover reveal!